I love writing blogs about personal first-hand experiences, once again this is a product I have tried and it has proved itself. I stumbled onto this quite by accident. I was shopping in T.J. Max and I was looking for some kind of moisturizer for my skin. 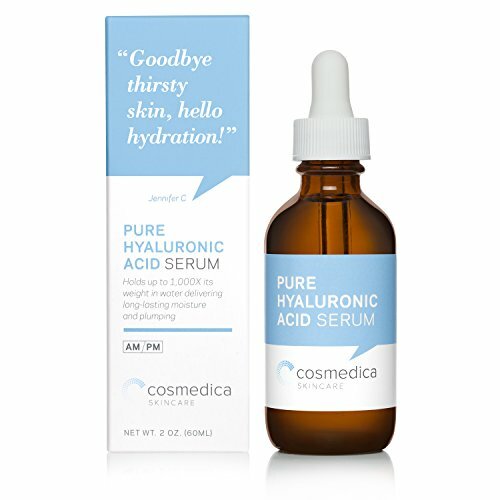 I happened to see a bottle of hyaluronic acid serum and thought I would give it a try. I think it cost me $7.99. I took it home and started using it daily after I got out of the shower. It wasn't long and I noticed a big difference in the way my skin looked. It was smoother, softer, and way fewer wrinkles. I was sold, I went back the next week and picked up a couple more bottles. Some hyaluronic acid is very watery and others are more of a gel form. Personally, I am liking the wateyr type and I just splash it on my face each morning. What really sold me was this. My husband is an avid sun person. He is very dark-skinned and doesn't use any sun protection. I have tried as I may over the years to get him to wear sunscreen but to no avail. He is now 60 years old and some of the effects of the sun started to take a toll on his skin. He started to have very saggy skin underneath his eyes and puffy bags in the morning. I decided to get him his own bottle of hyaluronic acid. I can't tell you what a transformation has taken place. In just a few days I noticed a big improvement and it continues to improve with the use of hyaluronic acid. I smile to myself when I see him putting it on his face each morning. Like me, he has seen the results and is sold. Did you know that many very expensive skin care creams have one ingredient in common, it's hyaluronic acid? Did you also know that you can purchase hyaluronic acid very inexpensively on Amazon or find it at stores like T.J. Max and Marshalls for $9-$10 bucks a bottle? This is not an expensive product, but it produces big results in the appearance of your skin. Just what is hyaluronic acid and how can it make you look younger? Hyaluronic acid is a form of nonsulfated glycosaminoglycan distributed widely throughout the connective, epithelial, and neural tissues. Babies are born with an abundance of hyaluronic acid in their skin, thus the smooth beautiful appearance. As we age we lose a lot of our hyaluronic acid especially noticeable after age 40. Using hyaluronic acid can combat the effects caused by damage from UV rays to your skin. Hyaluronic acid is a molecule that is naturally occurring in your body, it's already in your skin. It's not just in your skin, it is in your eyes, internal fluids, and connective tissues. But, 50% of all your hyaluronic acid resides in your skin. HA is responsible for lubrication of connective tissue and joints and is an important element in your skin's overall health. Many studies prove that there are dramatic improvements in the appearance of the skin after just 8 weeks of use. In this study, https://www.ncbi.nlm.nih.gov/pmc/articles/PMC3970829/. In this study, there was a whopping decrease in the depth of wrinkles by as much as 40%. Firmness and elasticity were improved by up to 55%, and hydration improved by 96%. One of the ways that hyaluronic acid works are that it has the ability to hold up to 1000 times its weight in water. It helps your skin to grab and hang on to moisture. As you age your skin does not absorb moisture as well and it losses it's suppleness and starts to sag and show fine lines and wrinkles. Using hyaluronic acid diminishes wrinkles by plumping up the skin, changing you from a raisin to a plump grape. As your skin plumps up it looks less saggy and more toned. In effect, hyaluronic acid turns the clock back to your youth. It actually has an antioxidant defense to fight UV damage. What Kind Should you by? You can Take it Orally too! To get the best product for your money purchase a formula that has at least 1% hyaluronic acid. Many of the products have just 0.05% which don't provide as much efficacy. 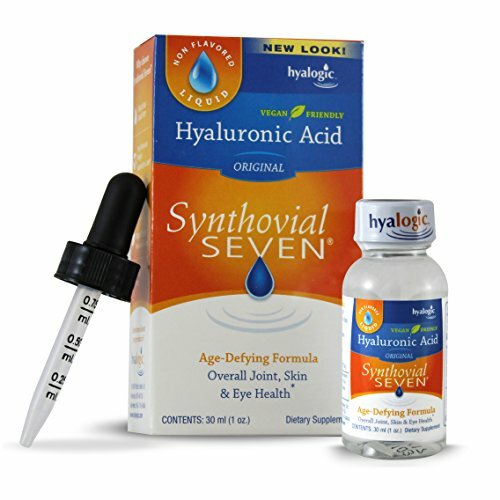 Hyaluronic acid also comes in a pill form supplement. It is used for osteoarthritis and is likened to glucosamine sulfate. A Japanese study by Sato T, Iwaso H. An effectiveness study of the treatment of Osteoarthritis of the knees. It was learned that hyaluronic acid taken orally stimulates your body to begin to make your own again. Apply your hyaluronic acid serum and wait at least 15 minutes before you apply any of your other products to your face. A serum that contains both Vitamin C and hyaluronic acid pair together to boost collagen production and diminish dark spots. Check out these products on Amazon that I have tried and had good results with.